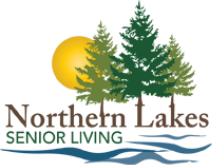 Northern Lakes Senior Living welcomes you to call or stop in for a visit. Discover a refreshing senior lifestyle with assurance for a bright future. Come home to Northern Lakes today. Northern Lakes Senior Living is managed by Ebenezer, Minnesota’s largest senior living operator. Ebenezer is the senior housing division of Fairview Health Services and has 100 years of experience serving older adults. Northern Lakes Senior Living is a Michael Development Community.